I know I have been away from my blog for a little while again, but I have been keeping very busy and it can be so hard to keep up with all of these platforms! I have been blogging on Wild Whisper's Blog lately and it has been such a pleasure to share all of our design team's incredible work. 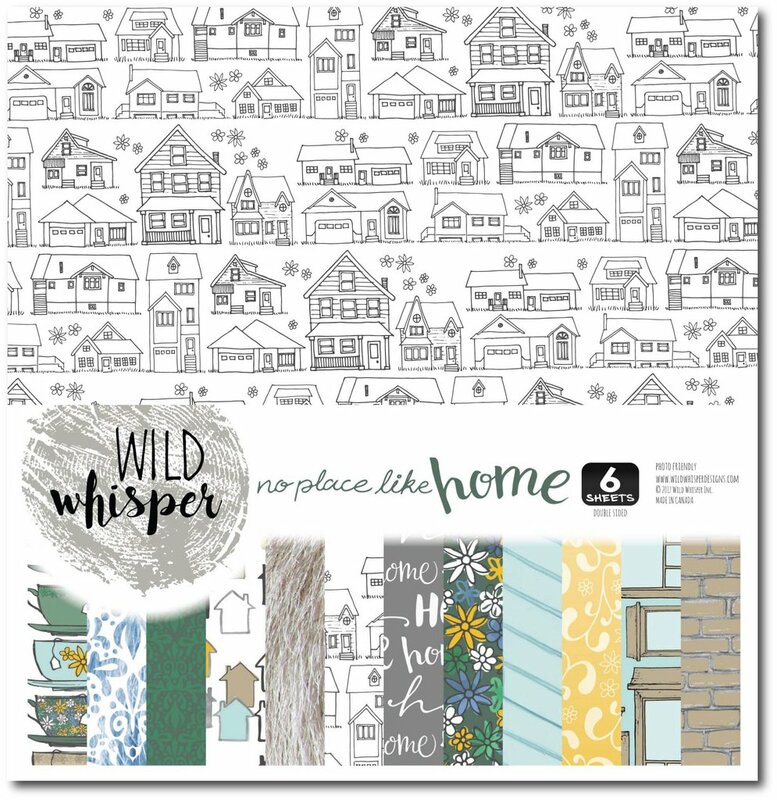 Suzy and I are thrilled about the release of our latest Wild Whisper collection, No Place like Home, which just released yesterday! 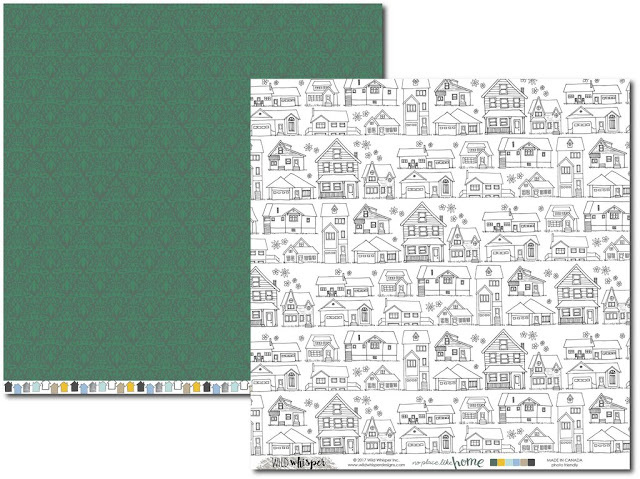 This one is perfect for documenting all of those cozy, homey memories and we can't wait to start playing with it ourselves. I am very excited to use these papers and pocket scrapbooking cards to document Andrew and I's recent move to a new house. Yes, we have finally left our basement suite and moved into a well-lit ground floor condo! It is such a dream and I am very anxious to get settled in. Anyway, I have shared some images of the new collection here, but if you wish to see them all. or make a purchase, you can find these products on our website here. The grey house outlines are one of my favourite patterns. 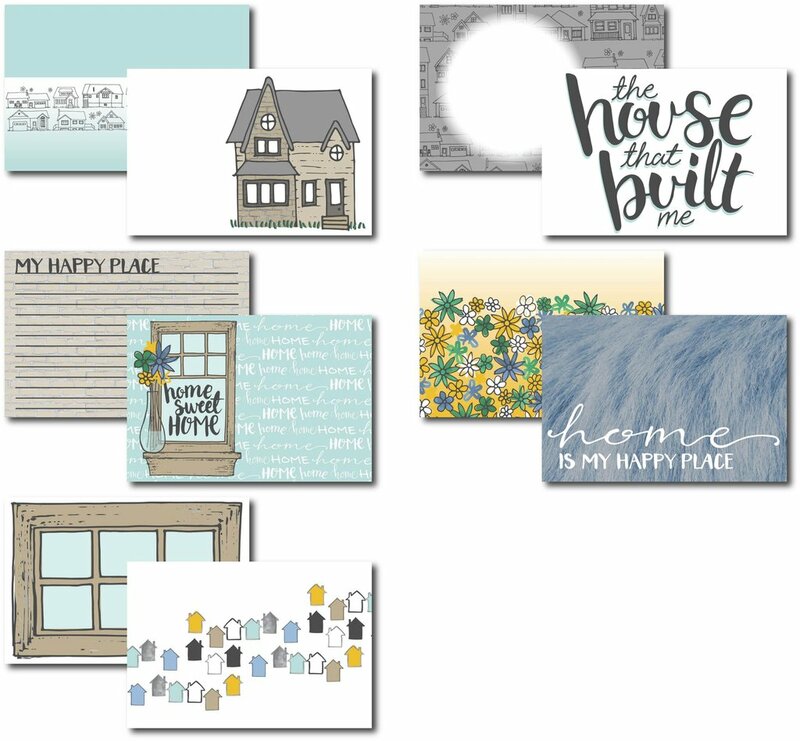 Several of these houses are actually places that Suzy or I grew up in! 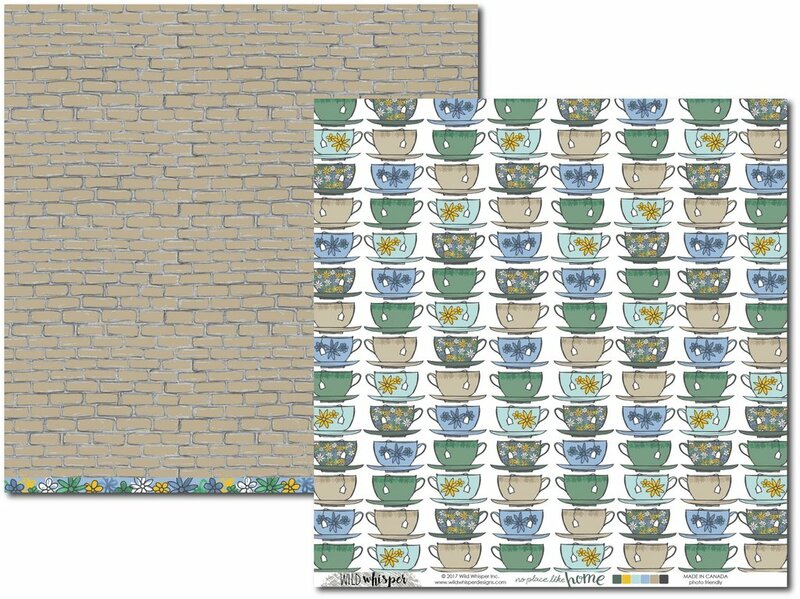 I think the teacup pattern is going to be another one of my favourites to document with. I am a huge tea lover, but for those of you who are more the coffee type. 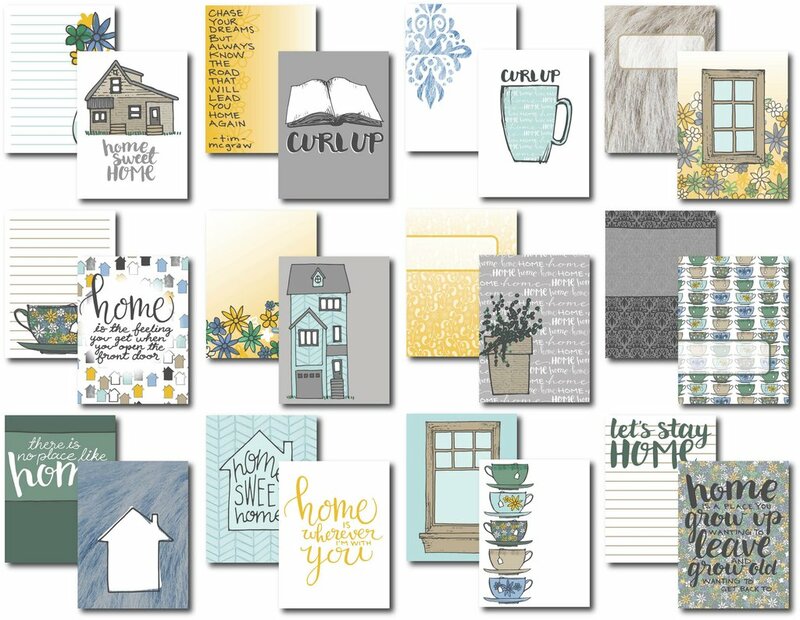 there is a mug on one of the 3x4 cards. 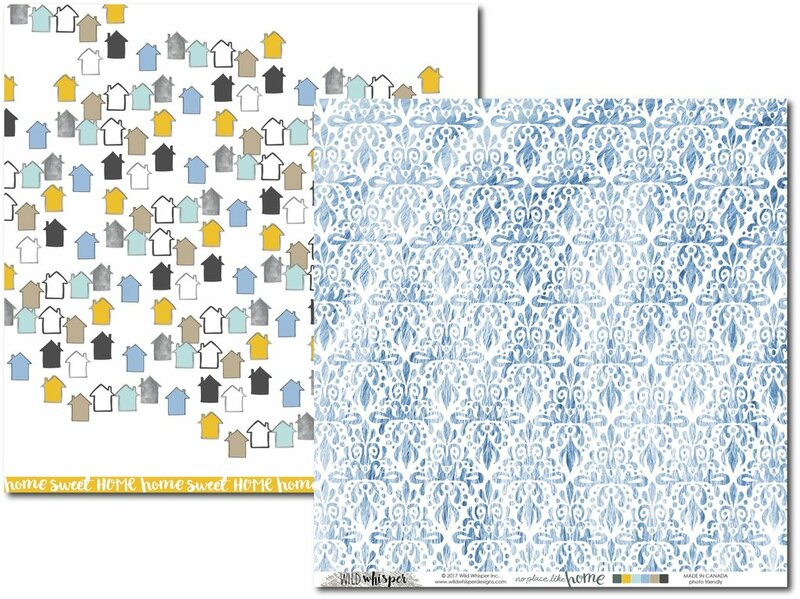 The small house pattern is something I am excited to use too. I think it would make a great 12x12 background for a layout. 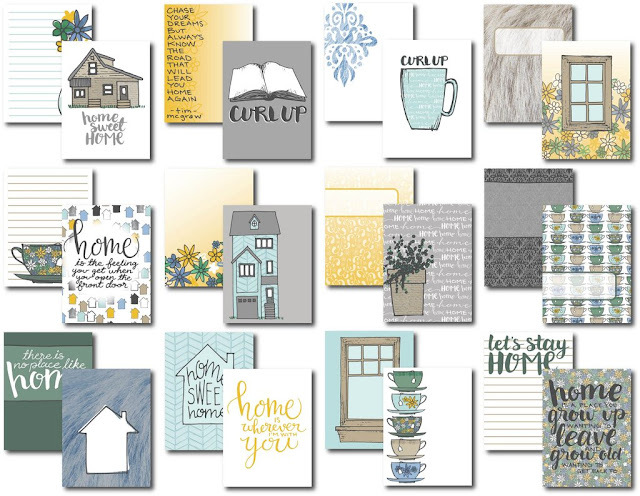 The 3x4 and 4x6 cards are a great mix of titles, journaling, and filler cards. They feature some of my favourite icons too! I plan to film a video sharing all of these wonderful physical papers, so if you have not yet subscribed to Wild Whisper's YouTube channel, you should definitely check it out and keep an eye open for that! thank you so much for stopping by today!